25% off labor and all parts from Nov. 1 to March 1. Gift certificates available. 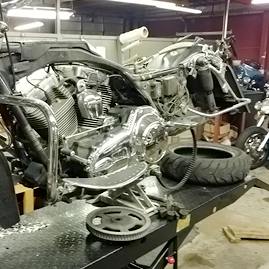 When you need high-quality and dependable motorcycle repair in the Louisville, Kentucky, area, turn to the experts at Kentuckiana Motorsports, LLC. We are fully licensed and insured. We've provided motorcycle sales, parts, repair, and education to the area since 2003, so you know you can count on us whether you need a minor repair or a full trike assembly. From oil changes to complete rebuilds, KMS is able to handle a full variety of motorcycle repairs and maintenance tasks. 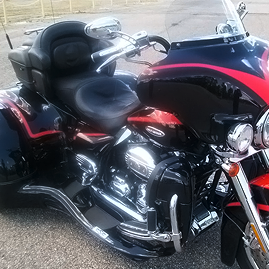 Count on us to keep your motorcycle running smoothly and safely. Turn your standard motorcycle into a fun, safe, and convenient trike using our trike building facility. We're able to purchase and install any trike kit so you can enjoy the many benefits of a converted motorcycle. Brush up on your motorcycle safety skills or learn to ride at Derby City Motorcycle Rider's Training School. Our experienced instructors are able to help you stay as safe as possible on the road. When you're in need of high-quality parts and accessories for your motorcycle, count on us. We stock a wide range of products from some of the most trusted manufacturers in the industry. 2015 ultra limited powder coated stock wheels and 2 into 1 Rinehart exhaust. 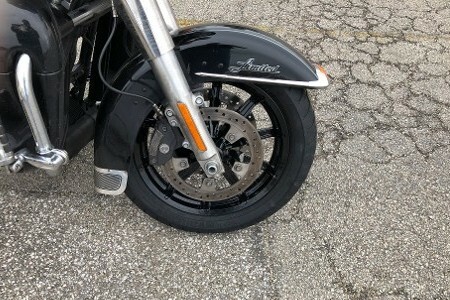 This is an inexpensive way to black out your bike and make it look like a new one again. 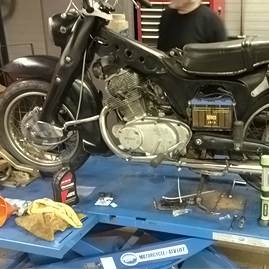 Schedule regular motorcycle maintenance or repairs. Call us at (502) 631-9107. 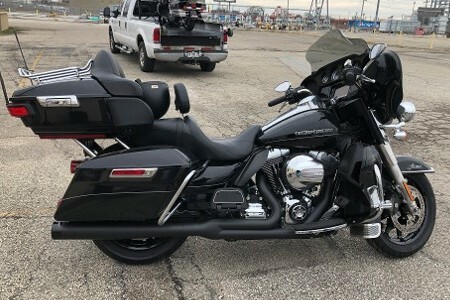 At Kentuckiana Motorsports, LLC, you can find the highest quality motorcycle parts, repair and assembly services, and motorcycle education in the Louisville, Kentucky, area. With more than 50 combined years of experience in motorcycle riding and building, the team at KMS is able to keep you riding right throughout the year. In addition to repair and assembly services, we carry a full line of parts and accessories from some of the most trusted names in the industry. 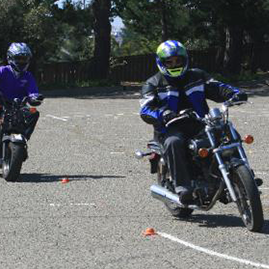 You can also take part in our motorcycle education and licensing course so you can ride safely. Don't Wait, Call Today To Schedule Your Class.